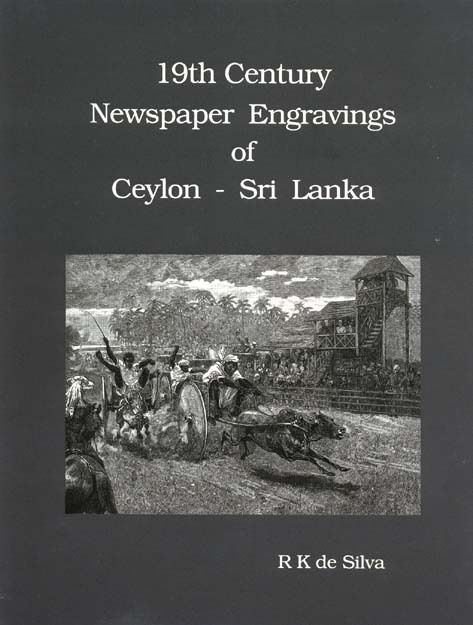 A significant part of the visual record of Ceylon in the 19th Century consists of engraved illustrations published in newspapers and magazines. These engravings give an insight into many aspects of the island in that period: its physical features, people, occupations, dress, customs, monuments, fauna,and flora, as well as historical events. A meticulous search of newspaper archives in Britain, Sri Lanka, and several other countries has resulted in the comprehensive collection of illustrations assembled in this book. They come from the pages of such pioneers in illustrated journalism as Britain's Illustrated London News and the Graphic as well as the more obscure or now long forgotten sources, such as Muniandi, a humorous journal published in Colombo for a brief three years from 1869. For all those with a curiosity about Sri Lanka's past, this book is a splendid treasure trove of information. 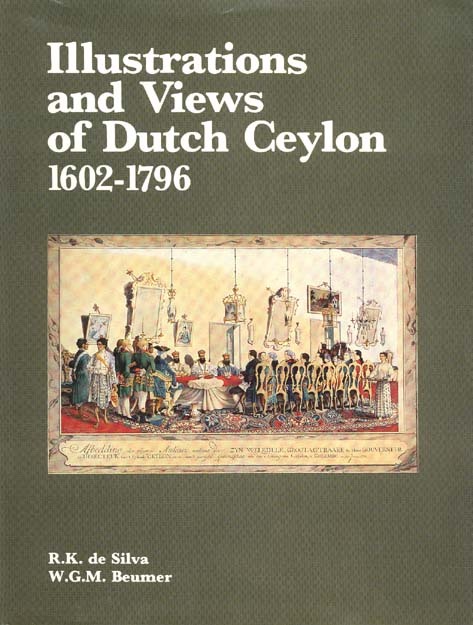 This book presents a fascinating record of Ceylon ( Sri Lanka) over the two centuries of the island's connection with the Netherlands. The book is primarily a pictorial reference, complimented by extensive excerpts from the original texts and well-researched notes. Besides an abundance of topographical sketches there are pictures depicting the flora, fauna, customs, occupations, dress, and portraits of the Dutch officials. Some 150 paintings and drawings are reproduced here in color for the first time alongside about 250 illustrations in black and white. This work offers ready access to a rich range of pictures and a wealth of material, which will not only serve future scholars in their research, but will give great pleasure to those many people who are eager to learn more of the shared past of Ceylon (Sri Lanka) and the Netherlands. 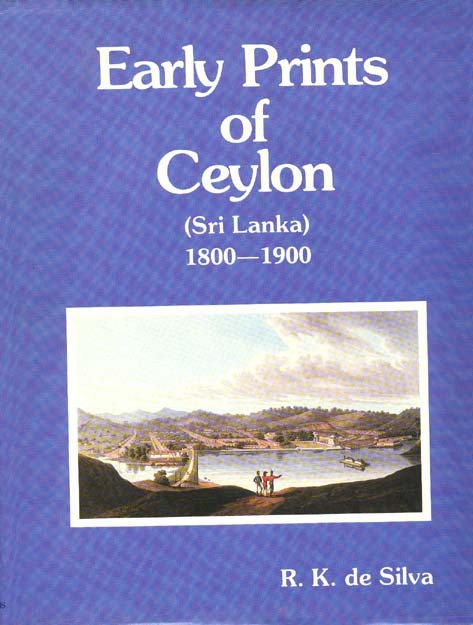 The first and most comprehensive compilation of plates and prints published on Ceylon (Sri Lanka) for the period 1800 - 1900. In addition to reproducing all 156 plates in color together with their original texts, the author has provided a biographical note on each artist; a bibliographical page enabling easy identification of loose plates; comments on the plates; and lively explanatory notes on the texts, covering a variety of topics which embrace not only the topography but also the customs and habits of Sri Lankan society, both past and present. This book offers readers an excellent opportunity of acquainting themselves fully with "Early Prints of Ceylon" while providing visual details of the island as it appeared in the 19th Century. Rajpal de Silva was born in Sri Lanka and has lived and worked in England as a medical practitioner since 1964. During these years he has had the opportunity to pursue his interests in Sri Lankan history and antiquarian art, especially of prints, engravings, and watercolor drawings. He maintains a continuing interest in antiquarian Sri Lankan art, on which subject he acts in an advisory capacity to two London galleries. The three works published maintains a very high standard and offers the reader an excellent opportunity to research in depth several hundred years of Sri Lankan history. This set is a must for any Sri Lankan book collection.